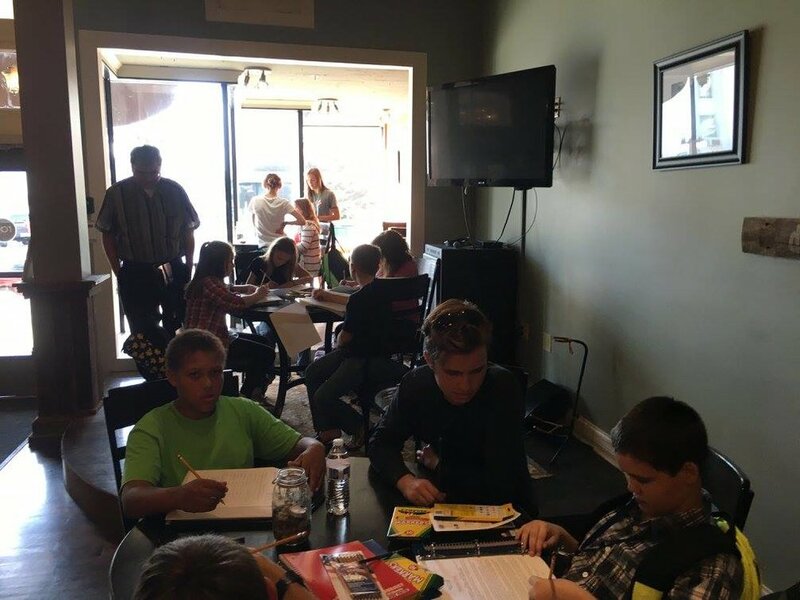 Mentors & Meals, an after school program at the Rowland Arts Center on 17 South Main Street, provides homework help, tutoring, STEM and health educational sessions, and dinner for students from Baker Intermediate School. The program launched for the 2016/17 school year and has just wrapped up it's second year. Mentors & Meals serves approximately 25 students a day three days a week. “We can’t wait to get the program started and begin helping students achieve academic success and learn how to dream big,” says Joseph Miller, director of the program. The intergenerational project will bring together Baker students, George Rogers Clark High School students and adult volunteers from the United Way. “Students will have the opportunity to learn about the importance of healthy lifestyles as well as hear about exciting opportunities in the fields of Science, Technology, Engineering and Mathematics,” he added. Project Launch is an employment program aimed to educate students in the community to become work and career ready. The program focuses on teaching practical and hands-on job training, the importance of handling themselves with professionalism and an opportunity to be mentored by a community businessperson. Students will learn how to properly fill out a job application, design a resumé and participate in mock interviews to become more comfortable with the hiring process. At the beginning of the program, our team will layout the expectations and goals for the student and the program. Project Launch will include the student’s academic success and their academic standing will be monitored as they try to balance what it means to balance school and a job. If a student has a healthy GPA, they must maintain that GPA throughout the program. If the student is currently struggling, they must attend tutoring at the teen center and work to improve their GPA. If a student has a healthy GPA and this begins to fall during the program, the student’s hours will be cut back and additional tutoring will be added to the student’s program. The Rowland Arts Center Drop-In program provides the middle and high school age students in our community with a safe, positive environment that they can truly call their own. The RAC features video game systems, table games, couches, music, and FREE wifi. This space will allow students in our after school programs a place to discover and cultivate their interests and talents. During the school year the Drop-In hours are 4-7pm and are 12-5pm in the summer. The RAC offers summer enrichment classes for middle and high school students. Classes include: art, technology, cooking, & exercise classes. Community volunteers with expertise in art, technology, & the culinary arts teach our summer classes. We also offer special events on Fridays throughout the summer. Some of these events include going to the local park for exercise, hiking in the Red River Gorge, going to the movies, and arts & crafts projects.